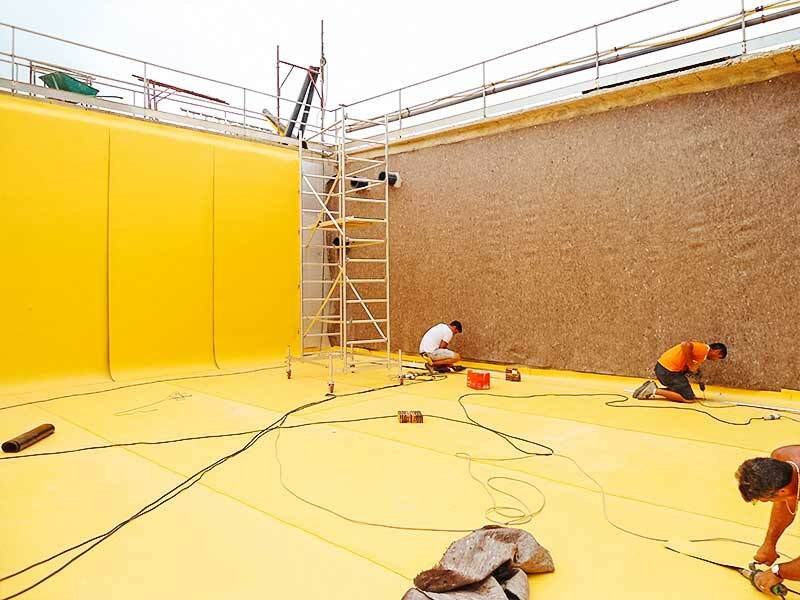 Waterproofing has wide range of applications: roofs, foundations, terraces, collection tanks and storage tanks; according to the specific performance needs of the structure different materials and solutions are used. 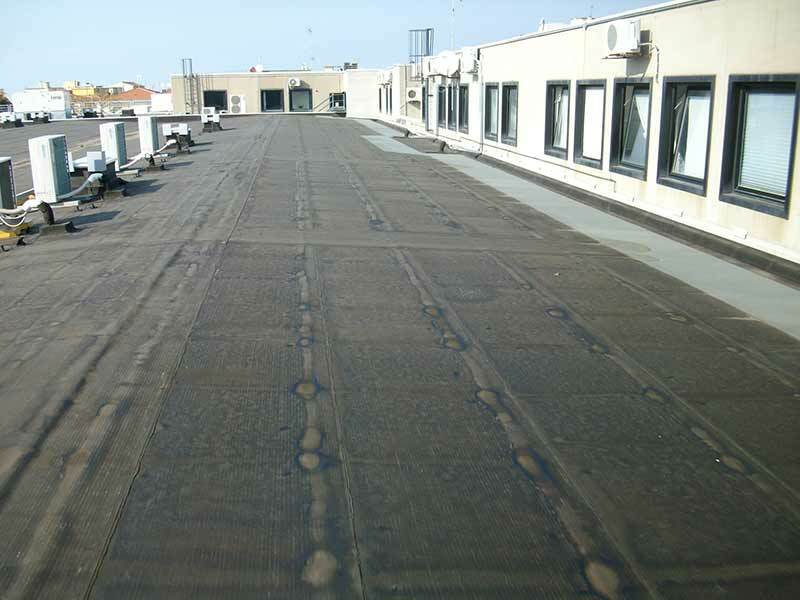 Each flat roof has its own problems and needs, some are driveways, some are used by pedestrians, others house a green roof, so the solutions use different materials according to different functions: bituminous or synthetic membranes (PVC, polyethylene, polyolefin, etc.) or cement mortars with added polymers. 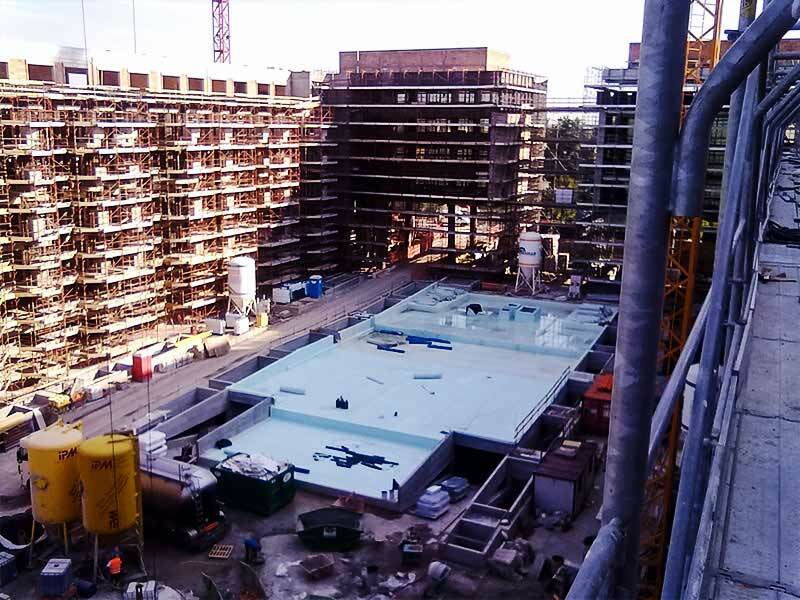 Good waterproofing is based on proper design, the care and careful implementation of the laying surface and the perfect execution of the details such as vertical joints, drains, thresholds and skylights and is essential to the building’s performance over time. 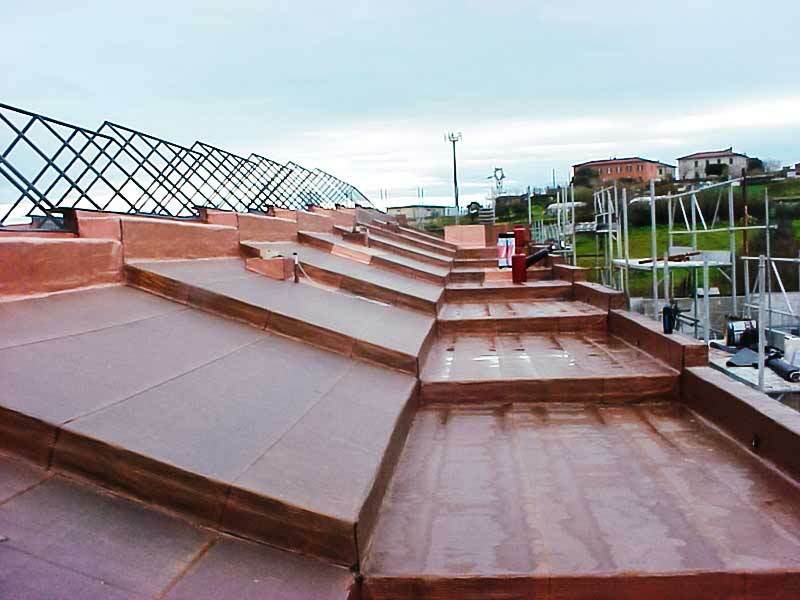 The insulation must be paired taking into account the characteristics and functions of the roof, finding the best solution to protect from rain seepage and condensation, and compatible with the waterproof membrane. 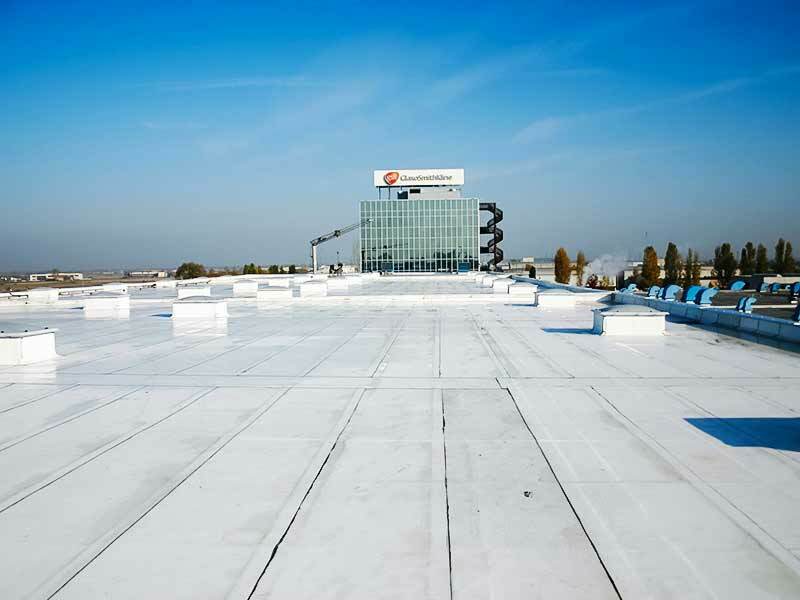 Good waterproofing guarantees excellent living comfort, because the environment will be dry, furthermore greater durability of the building will be guaranteed, enabling the avoidance of costly periodic maintenance due to leaks, remaking flooring, detachment or oxidation of metal reinforcements with an associated inevitable degradation of the structure. Rifacimento impermeabilizzazione con sistema a freddo Derbigum posato a freddo sul manto esistente fissato meccanicamente. Impermeabilizzazione con sistema a freddo Derbigum. 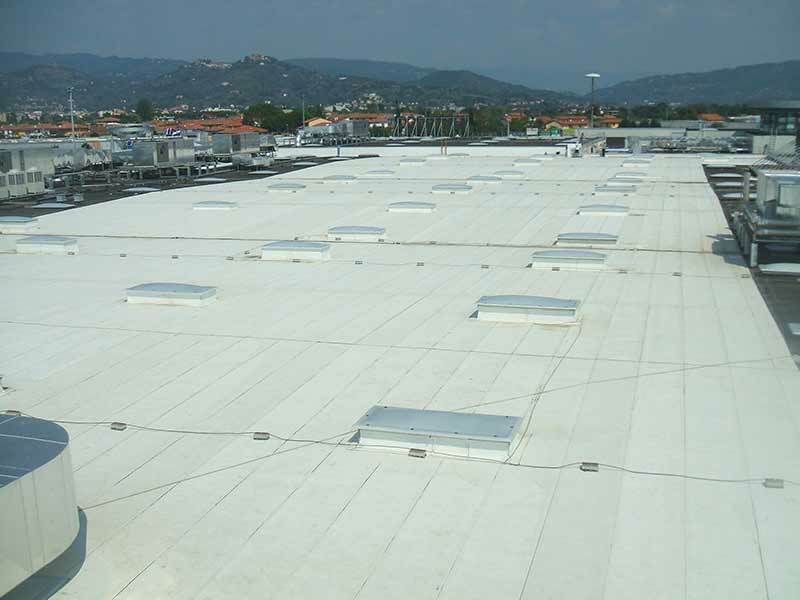 Impermeabilizzazione con manto bianco termoriflettente Derbibrite. 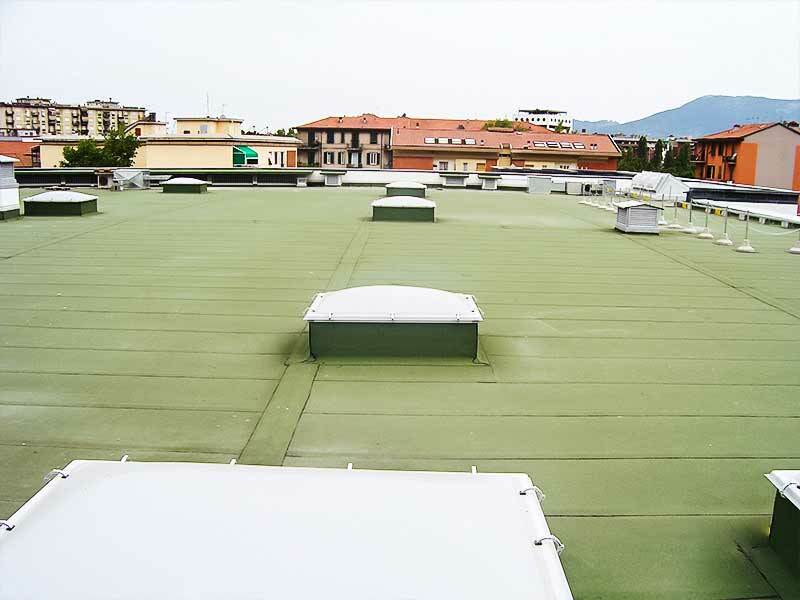 Impermeabilizzazione bituminosa con lamina in rame. Impermeabilizzazione con sistema a freddo Derbibrite bianco termoriflettente. Impermeabilizzazione con sistema a freddo Derbigum bianco termoriflettente. 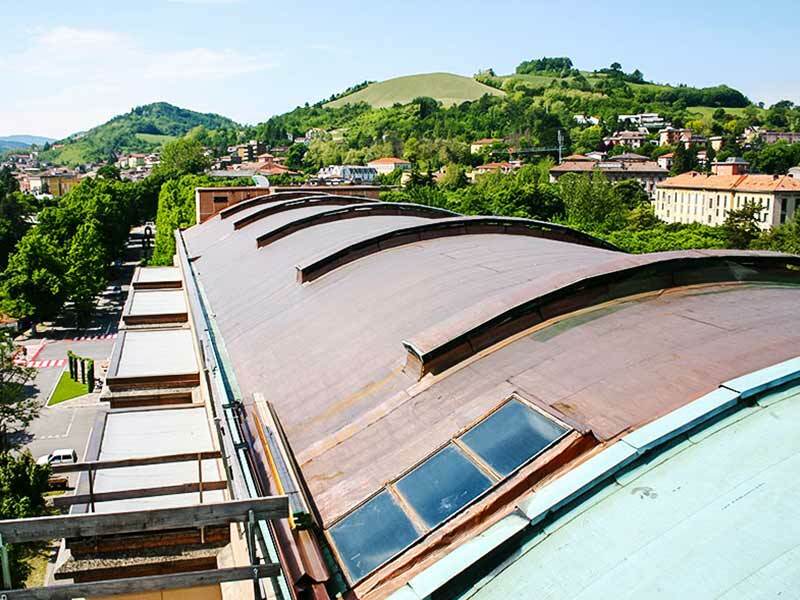 Copertura con pannelli precoibentati e manto sintetico incollato in totale aderenza. 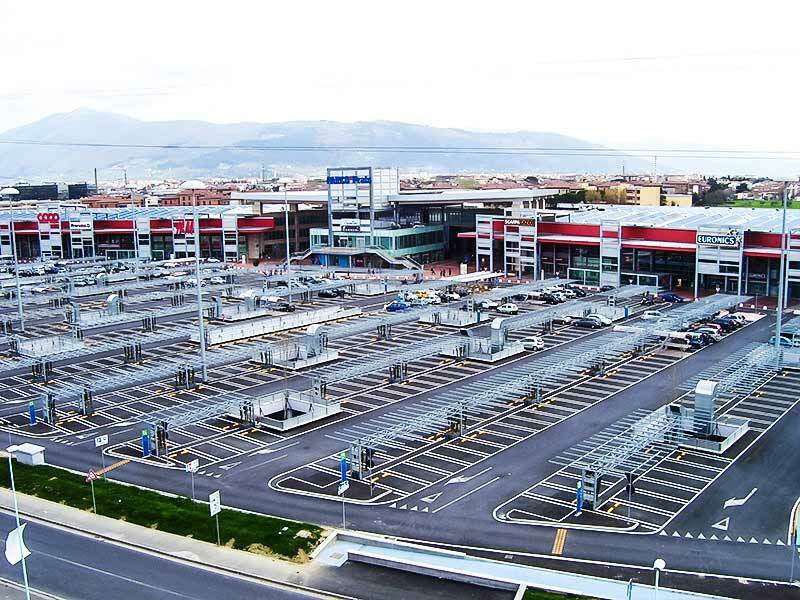 Impemeabilizzazione con manto ardesiato Derbicolor FR. 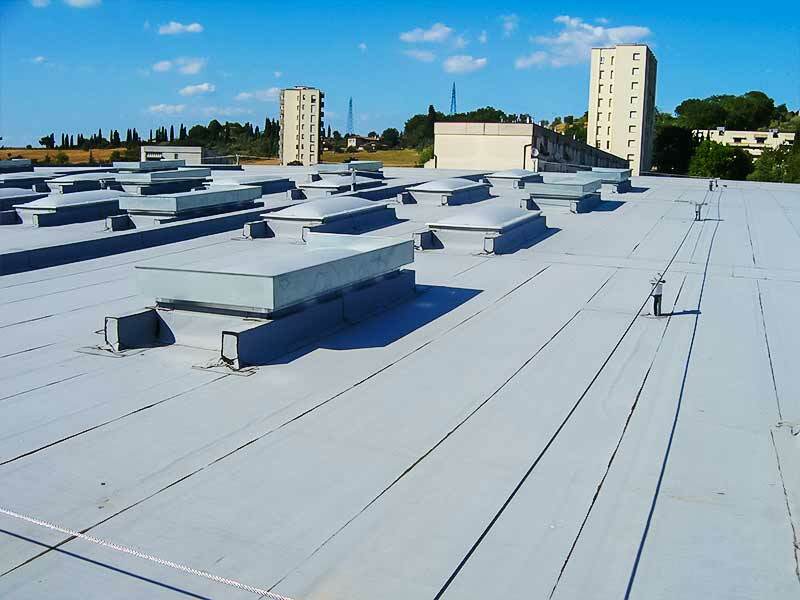 Impermeabilizzazione bituminosa ”cool roof” mediante Derbigum. Impermeabilizzazione con guaina doppio strato ardesiata bianca. 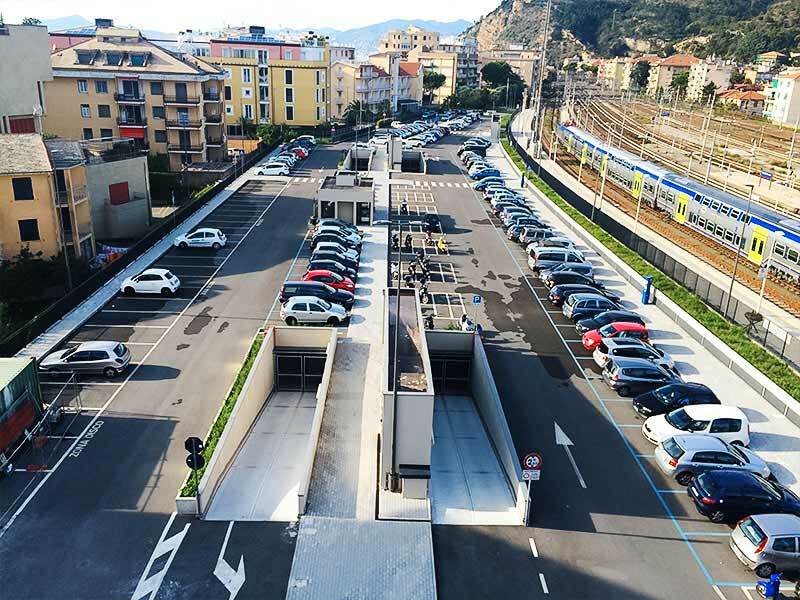 Impermeabilizzazione di un parcheggio in struttura multipiano mediante posa in totale aderenza di membrana bituminosa idonea per ricevere direttamente la copertura in asfalto. 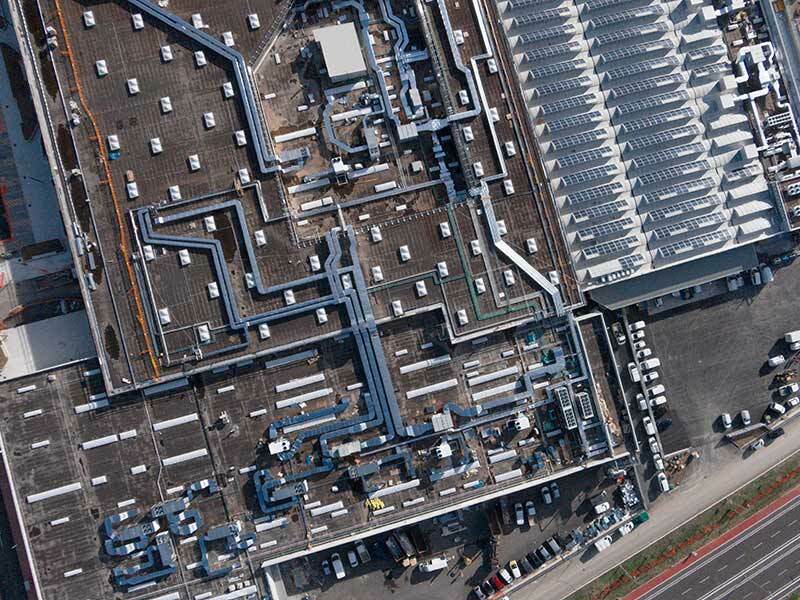 Waterproofing of a multi-storey carpark through the installation of a fully bonded bituminous membrane suitable for directly receiving the asphalt roof. Spreading done with the Easy Max machine. 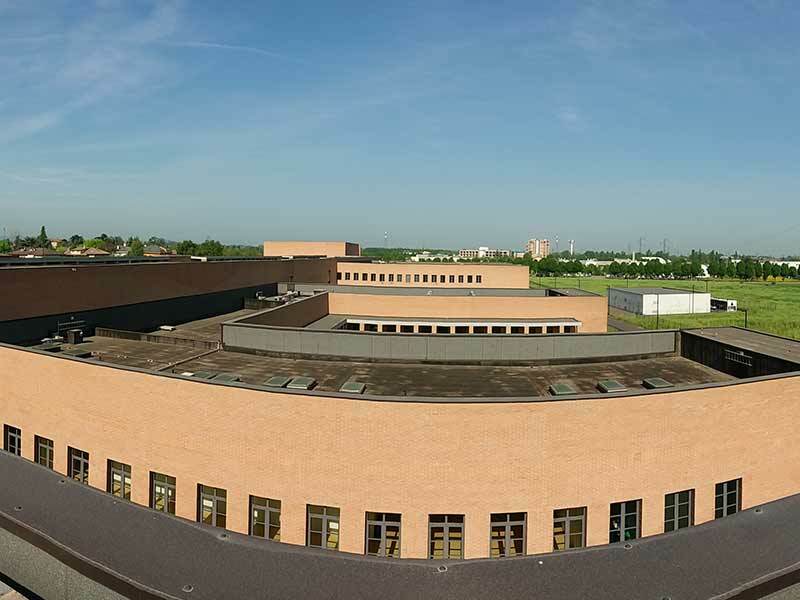 SISTEMI CONTINUI DI IMPERMEABILIZZAZIONE – CRITERI DI MISURAZIONE DELLE SUPERFICI AI FINI DELLA LORO CONTABILIZZAZIONE. EDILIZIA. 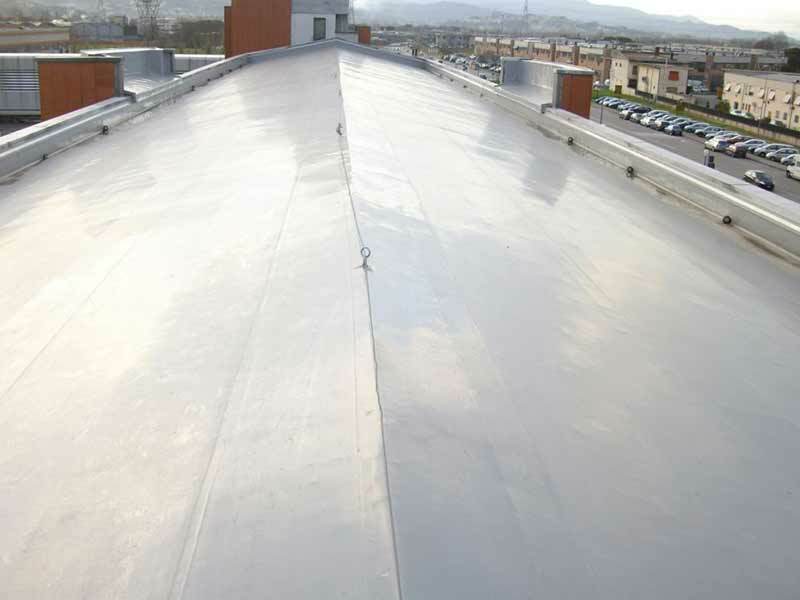 MEMBRANE PER IMPERMEABILIZZAZIONE. DETERMINAZIONE DEL COEFFICIENTE DI DILATAZIONE TERMICA LINEARE. 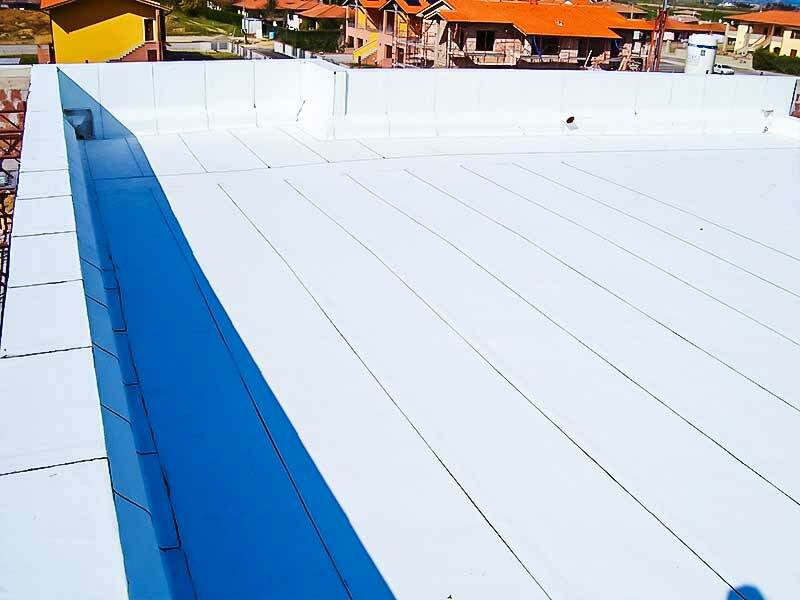 MEMBRANE PER IMPERMEABILIZZAZIONE. CLASSIFICAZIONE DESCRITTIVA DEL PRODOTTO. 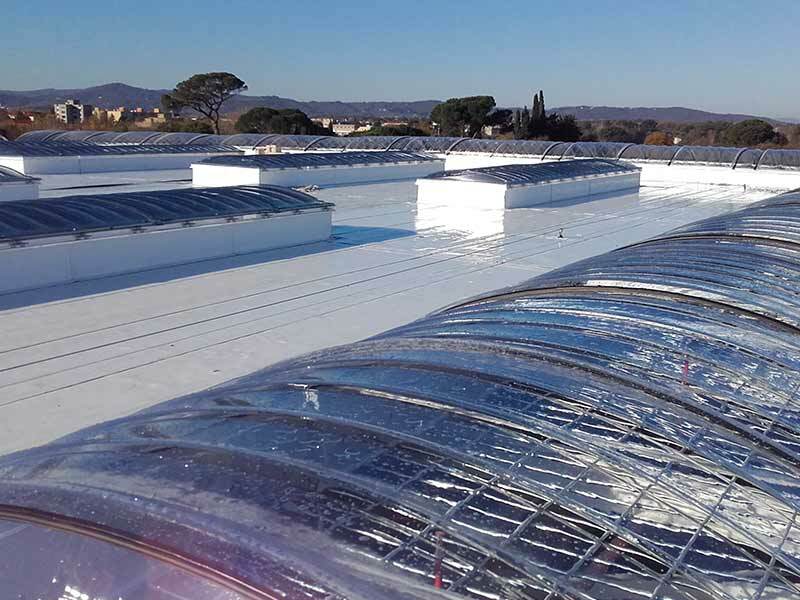 MEMBRANE FLESSIBILI PER IMPERMEABILIZZAZIONE – DETERMINAZIONE DELL’EMISSIVITÀ. 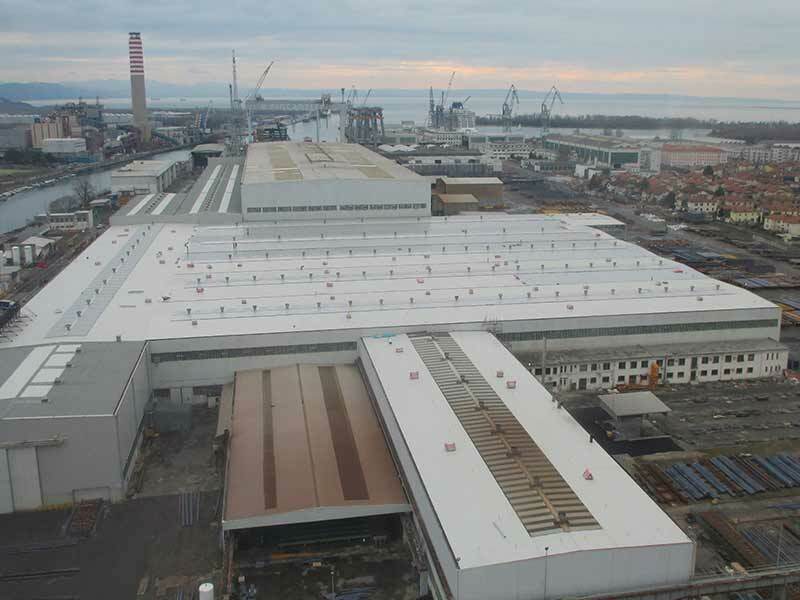 RIVESTIMENTI DI ELEVATO SPESSORE A BASE DI BITUME MODIFICATO CON POLIMERI PER IMPERMEABILIZZAZIONE – DETERMINAZIONE DELLA CAPACITÀ DI RESISTENZA ALLA FESSURAZIONE. 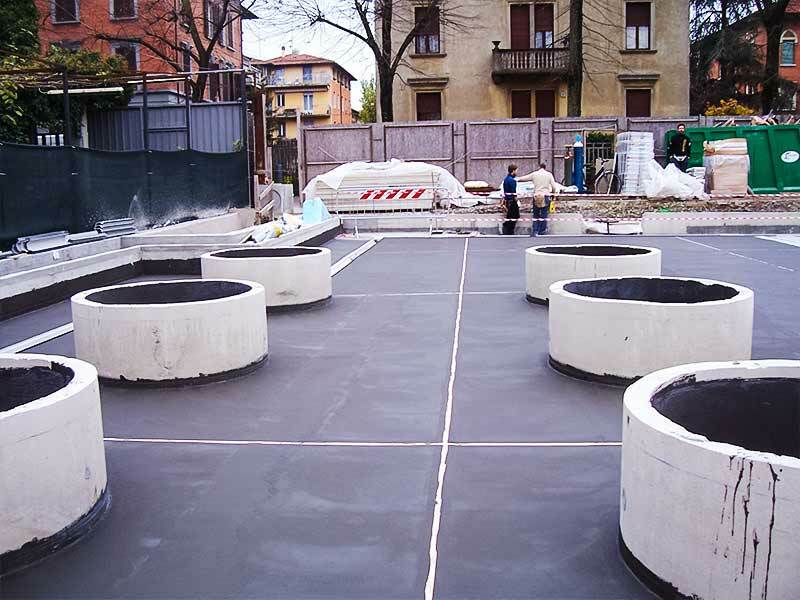 RIVESTIMENTI DI ELEVATO SPESSORE A BASE DI BITUME MODIFICATO CON POLIMERI PER IMPERMEABILIZZAZIONE – IMPERMEABILITÀ. 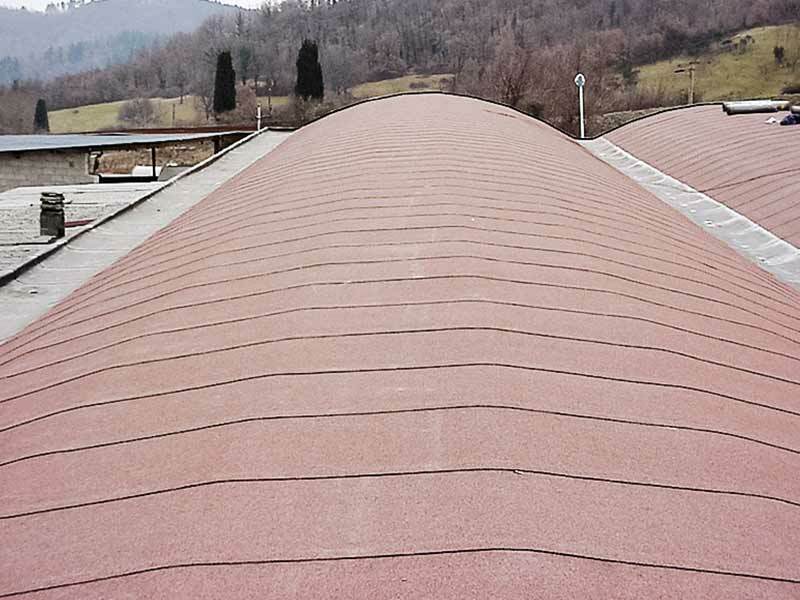 POSA DI MEMBRANE FLESSIBILI PER IMPERMEABILIZZAZIONE – FORMAZIONE E QUALIFICAZIONE DEGLI ADDETTI. 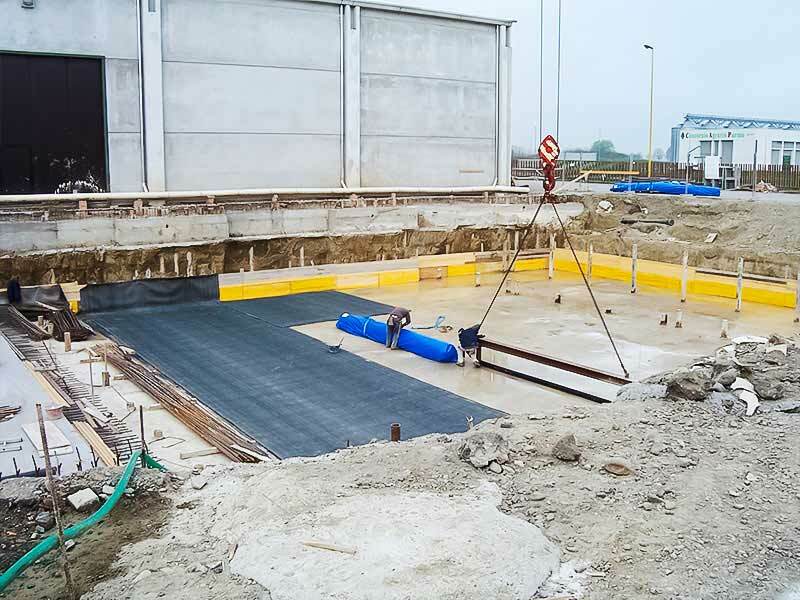 MEMBRANE FLESSIBILI PER IMPERMEABILIZZAZIONE – SOTTOSTRATI PER COPERTURE DISCONTINUE E PARETI – DETERMINAZIONE DELLA RESISTENZA ALLA PENETRAZIONE DELL’ACQUA. 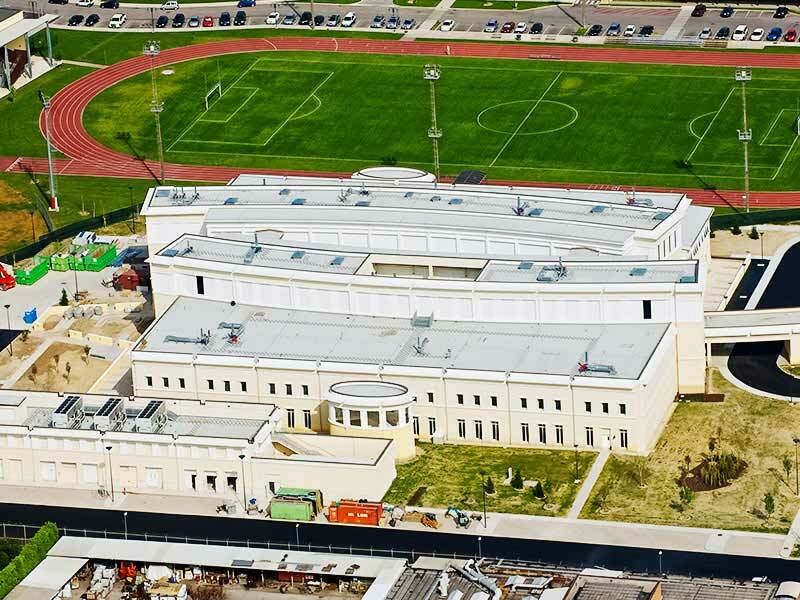 Since 1979, ISOMEC has been designing with the client, supporting the designers and realizing turnkey various components of the building.